Whether you’re just starting out or need a revamped strategic marketing plan, you’re not going to want to miss our helpful guide. Learn how in seven easy steps. You put everything into it. You’ve got a great business plan and your products and services are the best available. You’re ready to take it to the masses. A strategic marketing plan is a key to success when competing with the hundreds of thousands of other online businesses. Now you just need to let people know you exist. Here’s how to create one in 7 easy steps. You can’t be vague about your strategic marketing plan. You need to set S.M.A.R.T. goals and make sure you write them down for the marketing team to refer to. Know what you want to accomplish and write down how you’re going to do it. S.M.A.R.T. 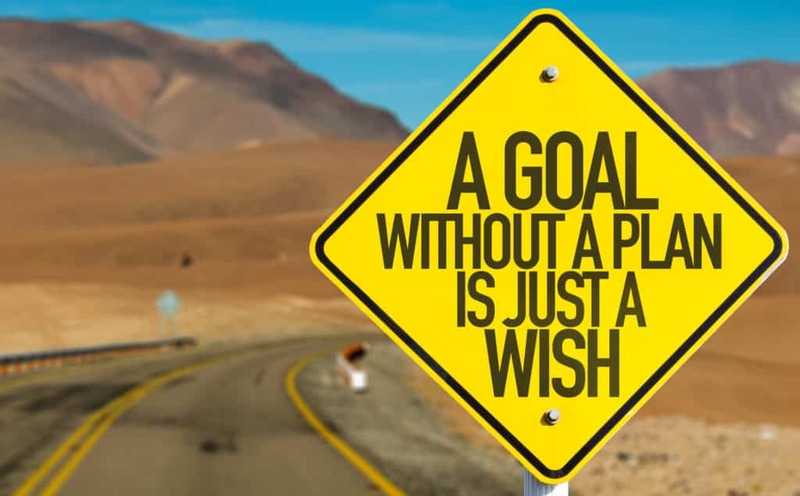 Goals are critical to your strategic marketing plan success. Outlining what you want to accomplish and when you want it done by is important to motivate and activate your marketing team. Clear precise goals give everyone direction. List long and short-term goals on a marketing calendar. Outline who is responsible for each aspect of your goal. You need to be able to measure your success. Know your numbers now and what numbers you’re aiming for. You need to know if you’ve reached marketing goals and if your methods are producing success and profits. You aren’t doing your team or business any favors by setting goals that are impossible to reach. Reaching for the stars is great but don’t set yourself up for failure. Your time, energy and resources are precious and you work hard to reach your goals. That time, energy and money are much better used for something that will produce results. It takes time to do things right. Don’t limit yourself or overextend your team with goals that are impossible to achieve. If you’re opening your first burger joint in a small town with your life savings, set realistic goals for yourself. It wouldn’t be realistic to plan to be bigger than Gordon Ramsey by the end of the summer. Don’t waste your time. A strategic marketing plan needs goals that produce results. It doesn’t do you any good to throw your meager marketing budget into efforts that won’t bring in customers and produce sales. You need to know what will work. Do your research to know the latest trends, tools, and tips to create a strategic marketing plan that works. Goals that have no deadline are less likely to get done. There’s always something that is more time-sensitive than the goals of your strategic marketing plan that you need to do “eventually”. A deadline gives you a reason to get started, a reason to continue and a time to accomplish it by. A time limit will motivate action. Everyone loves a story. They’re curious and want to know what you do and why you do it. Google and the internet have made it easy for anyone to look you up with the touch of a button and a few words in a search engine. They need to know who you are and what you do to find you. It’s not only customers but search engines that you have got to share your story with. More customers than ever search the internet for businesses they visit in person. People want convenience and speed. They search for answers on the go and you need to be the answer they come across. Use search engine optimization so you’re easier to find. Search engines use algorithms that weigh 100’s of factors to rank websites. You want to be on the first page of those results so potential clients will see you. If you want new results you have to have a new strategic marketing plan that will produce them. If you want to meet new people you have to go to new places. Facebook, Twitter, Instagram, LinkedIn and other social sites are great ways to reach new audiences. You have a world full of potential customers at your fingertips. You just have to find them or show them how to find you. 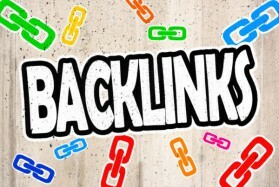 Give them a reason to follow you, link to your website and make clicking that link irresistible. Contests, videos, dynamic photos, and an informative blog are all great ways to catch a visitors eye. It’s important to be everywhere all the time. Humans have shorter attention spans than goldfish so you need to keep reminding them you’re there over and over again. Local directories are great and can be helpful in expanding your exposure and raising your ranking. If someone performs a local search the results limit the results to sites that are local. You want to be one of those sites. Voice searches are more popular than ever before. Consumers search while shopping. If you’re listed as a top result, you’ll earn their business and trust. You can’t satisfy your customers if you don’t know what they’re looking for. Make sure you do your research. Cater to everyone. You want to give them everything they want. Convenience, speed, information, and entertainment. Every visitor should leave with a smile. Set smart goals. The content and online interactions need to entertain and inform. You want customers to have positive reviews and feedback. Satisfy your customers and they will bring more business to you. Entertain them with a sense of humor. The world needs more laughter. Just make sure you are being professional at the same time. The humor will draw them in but your professional customer service is what will make them keep coming back. You can take your business to corners of the world and new heights you never imagined with the right strategic marketing plan. For help starting on your road to success contact our team today. manual that states to the idea methods into all of your problems. return. This will grow to become confusing. What’s up to every body, it’s my first pay a quick visit of this website; this weblog includes awesome and truly fine information for readers. I truly love your blog.. Great colors & theme. Did you make thbis web site yourself? with my myspace group? There’s a lott of people that I think would really appreciate your content. inn the morning, for the reason that i enjoy to learn more and more. Hi, I think yokur website might be having browser compatibility issues. it has some overlapping. I just wanted to give you a quick heawds up! Extremely individual friendly website. Huge information offered on few clicks. great activity on this topic! efforts and I will bbe waiting for youhr next post thanks once again. The prolem iss an issue that not enough men and women are speaking inelligently about. Keep up the great work! You understand, manny persons are looking around for this info, you can aid them greatly. I’ve been surfing online more than 3 hours as of late, yet I never found any interesting article like yours. It is lovely value enough for me. Personally, if all website owners and bloggers made just right content as you did, the web might be much more useful than ever before. But wanna remark on few general things, The website style is perfect, tthe articles is reaply excellent : D.
I’m truly enjoying the deesign and layout of your website.